Contractors in Quincy, and throughout Massachusetts, know the challenges their job encounters. Help minimize the risks for your business with a comprehensive Massachusetts contractors insurance policy from Mackintire Insurance Agency. Workers compensation insurance to protect you and your employees in the event of a workplace accident. Commercial auto insurance to keep your vehicles running. With access to industry leaders in contractors insurance, Mackintire Insurance can compare carriers to find the best policy at the best rate for your Quincy, MA contracting business. 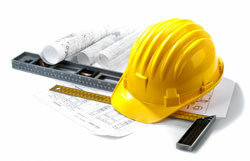 Click below for a free quote and help build your Massachusetts contracting company’s future.